WordPress Website Development Getting Popular? WordPress is an open-source content management system for creating and managing your website. In 2003, it was started as a blogging tool, but now-a-days, it is used for non-blogging websites also. 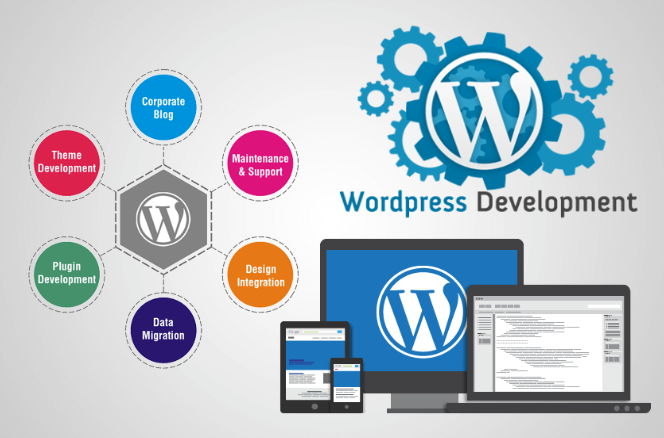 Due to its various exciting and easy to use features, WordPress website development is getting popular and even programmers are using it for developing and managing the website. WordPress is available with best Portfolio WordPress theme, can be used by designers, artist, photographers, creative people to showcase their work in high quality. WordPress is an open-source platform available for developing and managing a website. It costs nothing. Thus you need not worry about spending a single dime for the development of your website. WordPress is a module based system. You need not learn language like HTML, PHP etc. for developing a website on WordPress. It is very easy to use. Various plugins and themes are available with the WordPress to add the functionality you want to suit your software requirements. WordPress is the king of content management. You can post all types of content over a WordPress website being it audio, video, text and combination of any. It has the ability to manage your content in such a way that it becomes more likely to search by Search Engine. It has an ability to schedule the posting, you have to upload your content and a date on which you want to publish your post, rest of the job will be done by WordPress. This feature works for the large website which handle large amount of content. WordPress manage the content of a website in a structured way with defined Meta description and title tags, keywords that make your website search engine friendly. That’s the reason that WordPress website rank well in the Search Engine and provides lots of traffic to the site owners. In today’s era, mobile users are increasing day by day thus it is mandatory for a website to be responsive i.e. mobile friendly. WordPress is already a mobile friendly platform; you need not to do extra efforts to make your website responsive. Thus, WordPress provides easy portability to your website on any devices. There are various plugins and themes available with the WordPress which make the WordPress website easy to extend. You can choose any of the themes available with the WordPress and can directly target your customers or leads. Various plugins are available with the WordPress to add the functionality you want that fulfil your software requirements. Thus, themes and plugins helps to make a customized website that will bring maximum benefits to the site owners. WordPress website is easy to update. There is no need to find a web developer if you have to update your website. These benefits of WordPress are making it more and more popular. The robust and thriving community of developers and users are striving to make it a better platform. Whenever you will be stuck, this community is available online to help you. Overall, WordPress provides you a platform where you can create a low cost, versatile, SEO friendly, easy to extend and portable website. You will not be surprised by the fact that the number of websites powered by WordPress is around 28% of the total running websites over the internet. Choose from over 1100 best Portfolio WordPress theme available in the market for the WordPress website that can be used by the creative people who want to showcase their work online. Do You Need An SSL Certificate For Your WordPress Website?